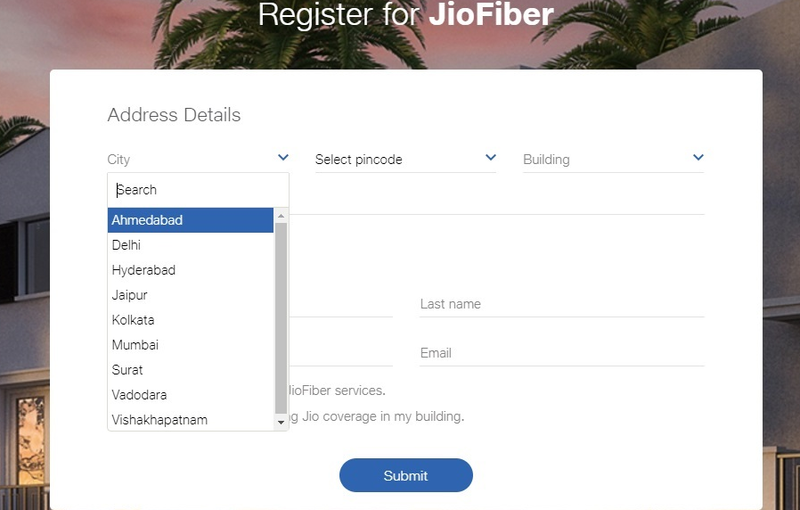 Reliance Jio's much anticipated Fiber to the Home (FTTH) service will be available very soon, as the company has accidentally revealed its plans for the upcoming JioFiber connection. 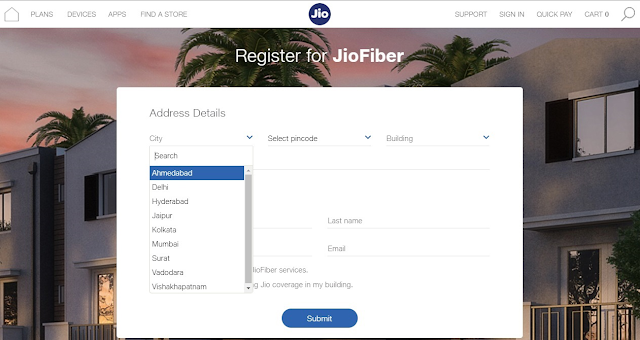 According to the listing, the Jio Fiber service is finally going to show up in Six locations including Ahmedabad, Delhi, Hyderabad, Jaipur, Kolkata, Mumbai, Surat, Vadodara, and Vishakhapatnam. Additionally, the company would offer 100GB of data per month with 70 to 100Mbps of speed for three months for free. However, the customers will need to pay Rs.4000 or Rs. 4,500 refundable fee for the JioFiber Router. Note that after consuming 100GB data, the speed will drop to 1Mbps. The details was spotted first by a redditor who disabled the redirect to login page, using Google Cache. The site has now been taken down. That said, we will notify you once more information is available.